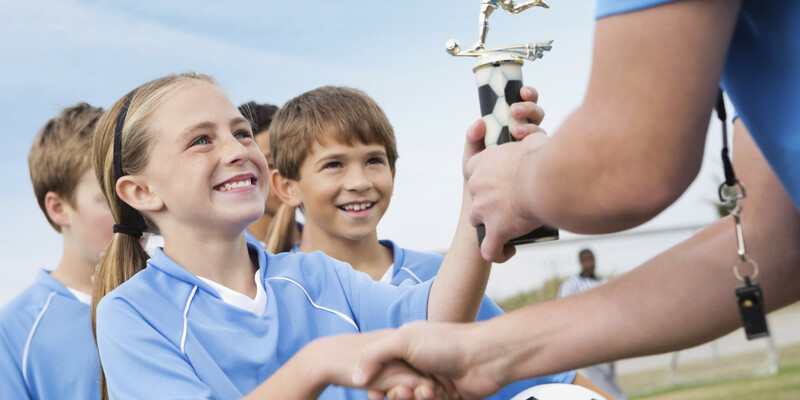 As some parents and coaches continue to rely on what I call “conditional praise” as a form of motivation, I hope they’re aware of some of the unintended consequences. When I was a young boy competing in sports I spent a good lot of my time in the pursuit of approval—praise—from those around me. It grew into a pattern of incessantly chasing self-worth as seen through the eyes of others, and set me up on a never ending quest. One that believed life would be better when I had this, or won that, or accomplished something others hadn’t. In chasing accolades through my accomplishments, others acknowledged me as tirelessly hard-working and ambitious. I simply used those comments as fodder to chase harder. But, when I got honest about what was really behind my drive to chase, I soon realized there would never be an end game to this life. I would never have a moment where I felt I had arrived and that what I had achieved was good enough. Through my work I’ve met my fair-share of individuals who would likely acknowledge their tendency to “chase.” When I ask them how the pattern of striving to constantly achieve bigger and better things began, most agree it was when they were young athletes. I, too, recognize youth sport as the genesis of my early-life tendency to chase. That’s where I first began to foster a desire to stand out. Yes, it was on those young teams that I discovered that if I accomplished extraordinary success, I garnered the attention of the adults in my life. Coaches, parents, teachers—all of them. They would notice the things that I did and talk about me with great delight. And, the more I got noticed, the more I wanted to get noticed. I remember winning Athlete of the Year in grade-six. May not seem like a big deal today. But, at the time, I was twelve and saw quite clearly how those around me celebrated that accomplishment. It registered as a significant moment. A moment I wanted to replicate. From there it only grew. Make that team. Win this game. Earn that award. One of the reasons I desired external praise so badly is because I wanted to hear others tell me I was good. More specifically—good enough. Because, trust me on this, I wasn’t saying it to myself. Yup, it all boils down to ego—not the good kind. And, therefore, never ends well. For whatever reason I had convinced myself that, in my own eyes, I wasn’t worth much. To rectify that predicament, I embarked on a life of achievement. More. Bigger. Repeat. My insecurity took over and drove me to chase stuff—material goods, titles and awards. Stuff that will impress others and result in public praise. It was like a drug. No sooner was I done with one project and I was off onto another. My internal chatter constantly trying to convince me that just one more success story will satisfy my yearning to feel whole. However, as we all know, it doesn’t work like that. It never has. It never will. If we don’t feel worthy without all of the stuff—we sure as hell won’t drowning in it. We have to feel whole before we embark on our life’s journeys. Not after. And, no surprise, as coaches and parents that’s where we come in. If your mood during the proverbial car ride home after a game is different depending on whether or not your child won or lost—that’s exactly what I’m talking about. If you treat your athletes to donuts when they win and kick garbage cans across the floor when they lose—this message is for you. That’s not okay! It perpetrates the message, “I’ll love you when … when you win. When you score. When you train harder. Whenever the condition I’ve put in place is met.” Having said that, I get it—it can be very effective. It can inspire change. I won’t argue that it doesn’t work. My concern is around the long-term impact of that behaviour. The love and approval that we dangle before our children is an incredible motivator—true enough. Trouble is, that motivation for approval can become habit forming. Our children need to know that our relationship with them—our love for them—is not conditional upon winning or losing a game! In fact, appreciating the impact of my conditional approval upon the athletes that I’ve coached has been one of the hardest lessons I’ve had to learn. I remember when I first began coaching. There were many times during the course of a season where my athletes were afraid of me. They knew that my mood and how I spoke to them would be drastically different depending on whether or not they did as I said or performed as I expected. I had no idea at the time how destructive and disabling my behaviour was on their young psyche. As adults, through the relationships that we foster with our athletes, we hold the power to create incredibly meaningful and healthy experiences. Regardless of whether or not we grew up with coaches, parents or teachers who demonstrated conditional approval with us, we need to move beyond what we were taught and make better choices. And, this is a good place to start! When athletes know that their relationship with you isn’t contingent upon how they perform, they are free from the fear of disappointing you. From that safe place, they thrive. Athletes reach levels of performance unburdened with the heavy price of shame. The shame of not measuring up to yours and others expectations. This one shift in my coaching philosophy has had the most drastic impact of anything that I’ve ever tried to address. Both from a performance standpoint and in terms of the longterm relationships that have developed with the athletes I’ve coached. To that end, I encourage you to check-in with how you manage praise with the young people you work with. Now, don’t misunderstand me, I’m by no means advocating a Dora-fest. “Good-job!” every third sentence is not the praise that I speak of. I’m talking about the emotion that children detect from us when we’re either pleased or displeased with their behaviour. You may think that by withholding praise constitutes “tough-love” and may actually do them a favour, but guess what? That’s just wrong. As adults, we have to know better. We have to show the children in our lives more respect. Yes, it’s our job. But, more importantly, it’s our moral and ethical responsibility, as well.